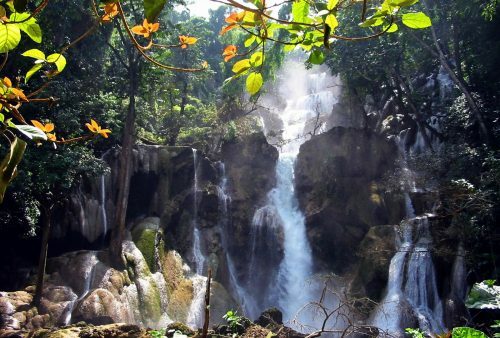 This fascinating 2-week guided Laos and Cambodia tour, Indochina Adventure, takes you through the heart of Southeast Asia. 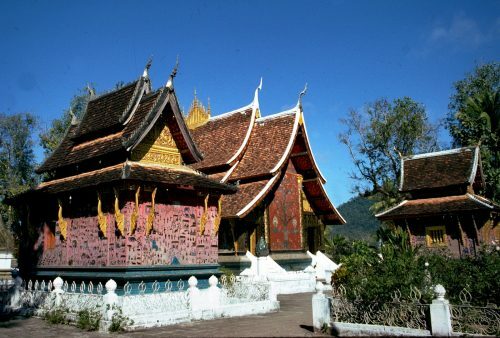 Beginning in northern Laos – in the former royal capital, now UNESCO World Heritage Site, of Luang Prabang – we’ll explore the ancient temples and French colonial-era architecture of what is certainly the best-preserved city in Southeast Asia, before a road trip through the scenic Central Highlands to the remote and mysterious Plain of Jars. 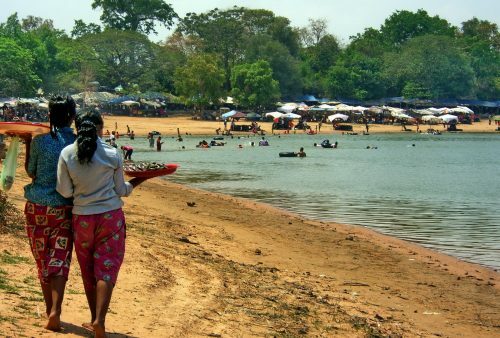 Our journey continues to the contrasting, contemporary capitals of laid-back Vientiane on the banks of the Mekong River and hectic but great fun Phnom Penh. 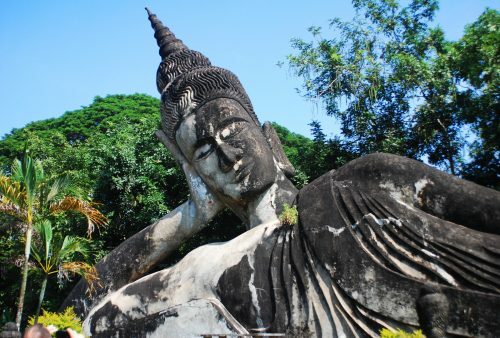 Explore some of the sights of Laos’s capital including the famous COPE centre and surreal Buddha Park while our Phnom Penh tour takes in plenty of the colourful and vibrant street-life as well as it’s sometimes tragic, recent history. 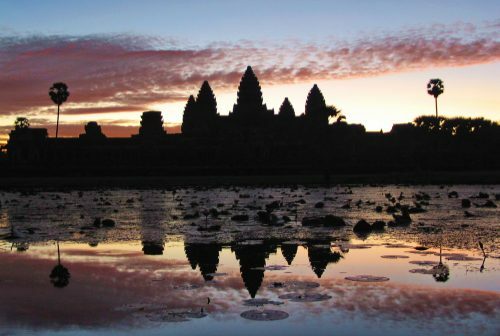 From there we’ll travel overland through picturesque Cambodian countryside to the enigmatic and atmospheric temples of Angkor where a comprehensive but leisurely-paced 3-day visit to the spectacular jungle-clad temples completes our highly varied tour. For those with a few more days to spare we offer a slightly extended version of our Indochina Adventure taking you from Siem Reap across Cambodia’s unique eco-system of the Tonle Sap Lake and past the amazing floating villages of the Sangkar River to Battambang, before returning overland to Phnom Penh. Arrival in Luang Prabang and a relaxing afternoon boat trip up the picturesque Mekong River. 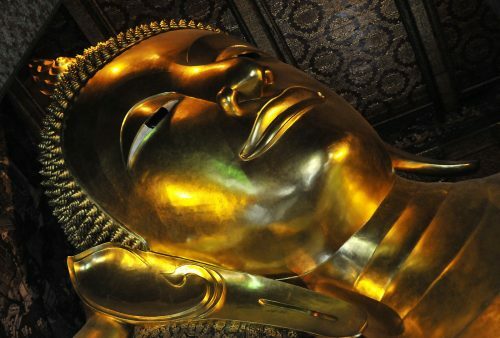 Visit Muang Keo village for a short hike to the mysterious Pak Ou Caves, crammed with thousands of old, gold lacquered Buddha images. 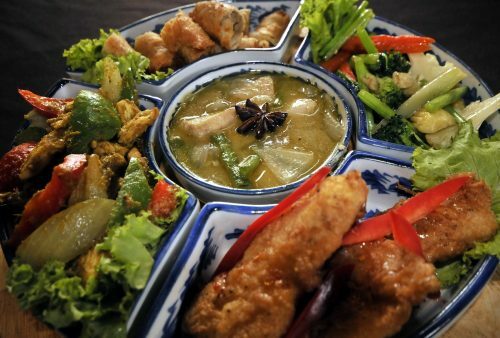 Return to Luang Prabang for a local-style, welcome dinner to introduce you to Laos’s sumptuous but little-known cuisine. 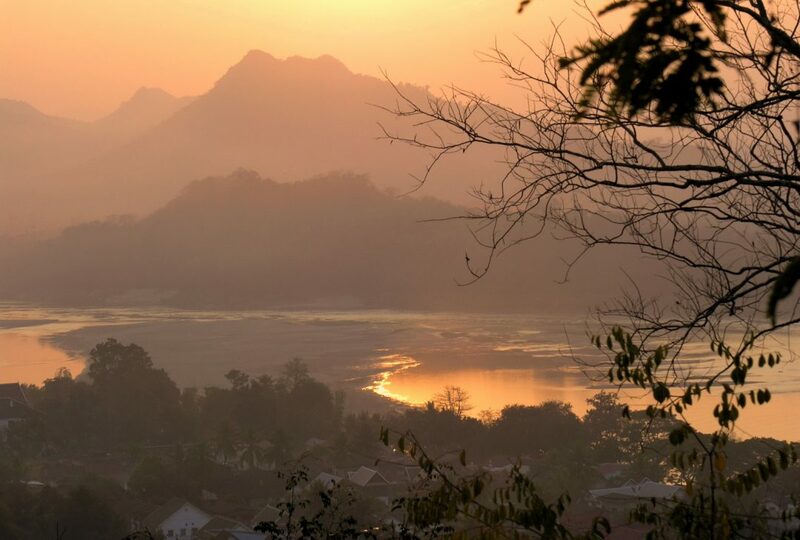 Discover World Heritage Luang Prabang’s fabulous temples, French colonial architecture and sample Lao delicacies (and the famous Lao beer!) in riverside cafes. A morning walking tour of the town includes the local market, National Museum & former king’s palace and fabulous Wat Xiengthong. The afternoon is at leisure to allow you to wander the quiet, picturesque lanes or check out the hill-tribe handicrafts? 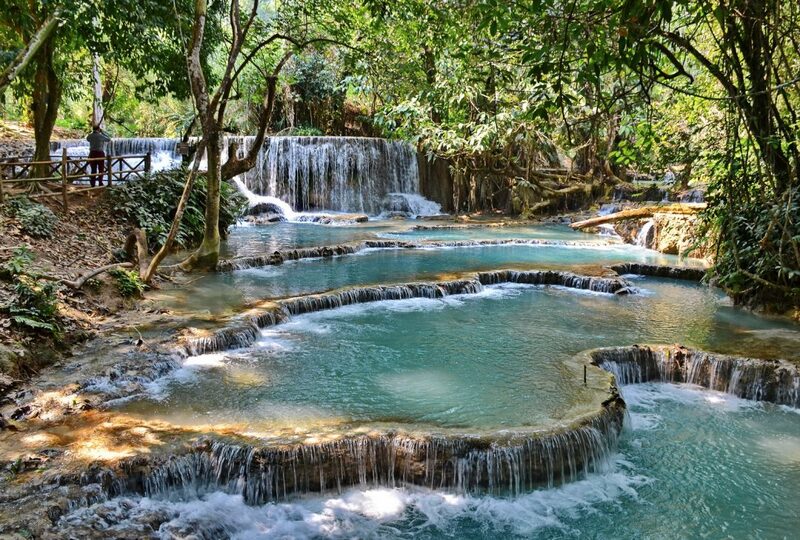 Day trip through the scenic, surrounding hills to visit the sublime Kuang Si Waterfalls as well as the sad, but highly worthy Free the Bears centre. 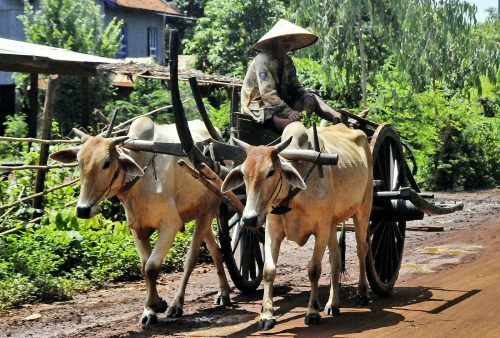 Stops on the way offer the chance to discover the fascinating, and still very traditional, village life of some of the local peoples. 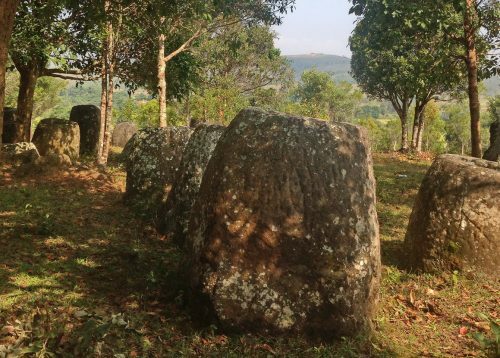 Early departure for a drive along scenic mountain roads to Phonsavan Town in Xieng Khouang Province – location of the famous and enigmatic Plain of Jars. 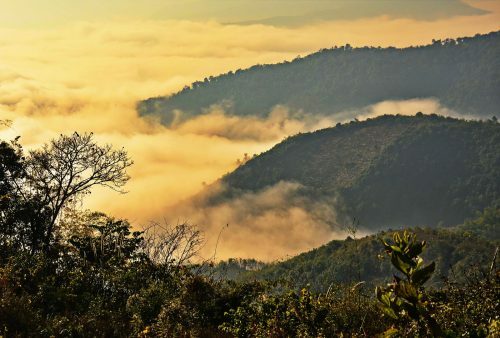 On the way, we’ll visit Khmu and Hmong villages and a hidden cave temple that served as an army hospital during the Vietnam War. Late afternoon arrival in Phonsavan and an atmospheric dusk visit to one of the famous jar sites. Visit the Mines Action Group to learn about the problems of unexploded ordnance in the area. We then drive out to the picturesque Jar Site 2 and begin a short hike to the impressive, hill-top Site 3, consisting of around 150 jars. 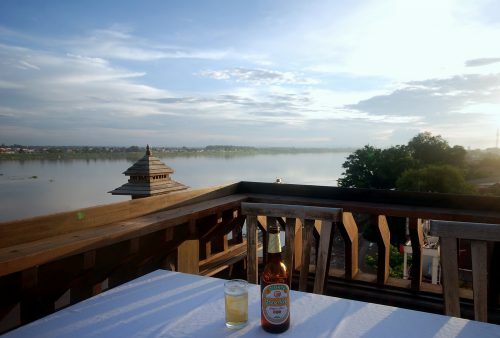 Afternoon flight to the Lao capital Vientiane with perhaps a stroll along the scenic Mekong waterfront for sundowners in a riverbank cafe? Tour of some of Vientiane’s varied sites including Si Saket Temple with its 1,000 Buddha images, the lively morning market, famous That Luang Stupa plus the unusual Buddha Park. Less cheerful, but we feel important and highly informative, a stop at the excellent COPE Visitors Centre highlights the problem of unexploded ordnance due to bombing during the Vietnam War. 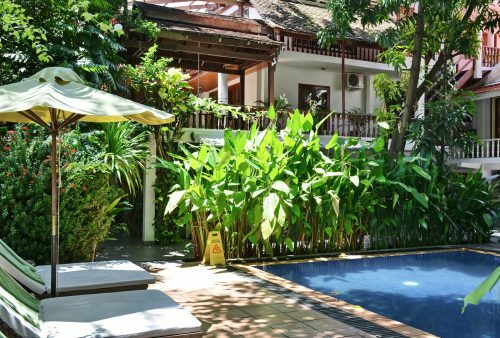 Morning flight to Phnom Penh and check-in to a small, comfortable, downtown hotel. Time to relax before stretching your legs with an introductory walking tour of the historic French Quarter and lively waterfront giving you a first-hand feel for the bustling street-life and finishing perhaps, with sundowners at the famous Foreign Correspondents Club? 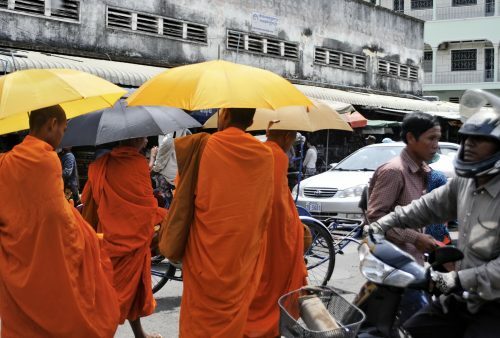 Tour of some of the sites of Cambodia’s fascinating capital: the infamous Killing Fields and the highly moving Khmer Rouge Genocide Museum, Tuol Sleng help explain the country’s recent tragic history. 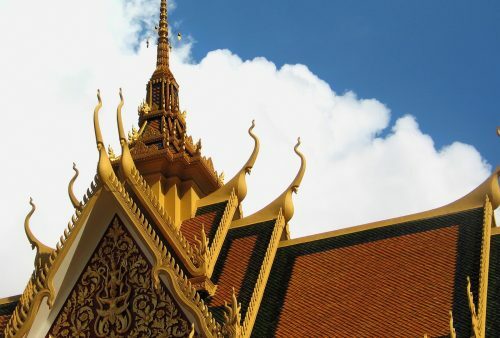 The picturesque Royal Palace and Silver Pagoda provide plenty of photo opps while the Russian Market offers some ‘retail therapy’ and a chance for a local style lunch. Overland through Cambodia’s scenic countryside to the town of Siem Reap – our base for the next few days while we explore the nearby Angkor Temples. 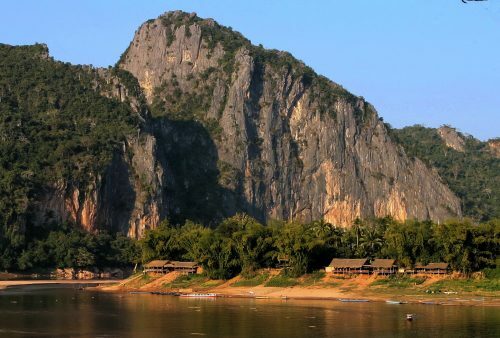 Stops on the way include the famous ‘spider village’ of Skuon, (tasting not compulsory), a rarely visited but well preserved 10th-century temple and lunch by a scenic lake. 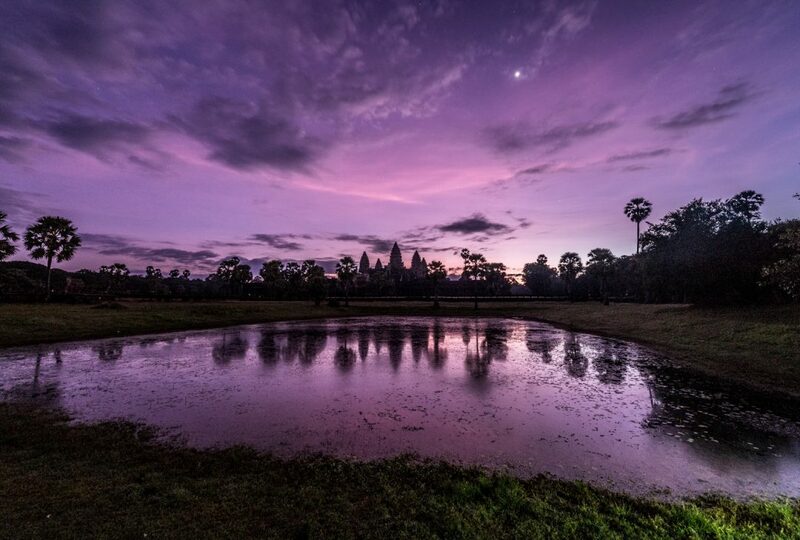 A dusk visit to the atmospheric ruins of Banteay Kdei Temple completes our day. 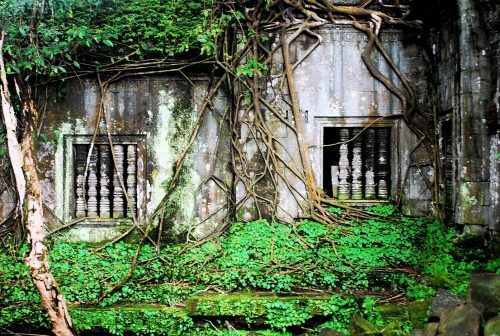 An early forest hike to the spectacular, hill-top Bakheng Temple followed by the vast jungle-clad ruins of Preah Khan. 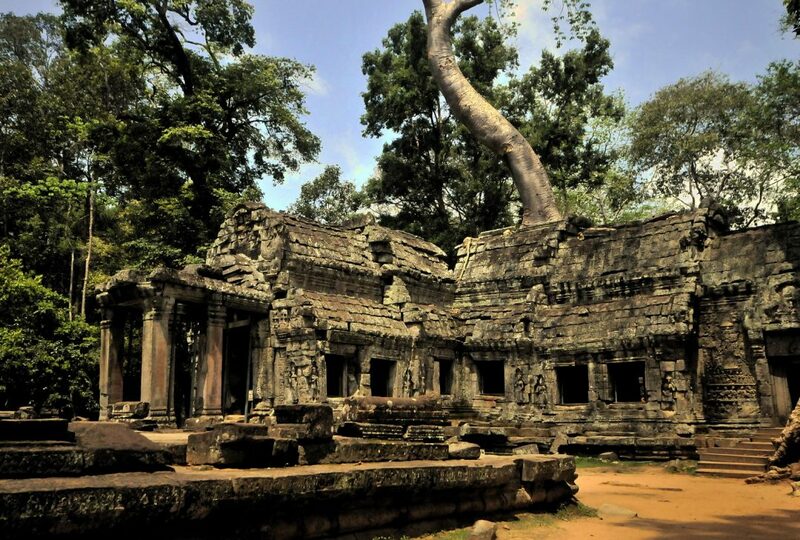 Enormous roots and towering trees make this atmospheric temple a regular favourite. After a midday break in Siem Reap we’ll continue with a short jungle walk to Ta Keo via the remote, rarely visited Ta Nei Temple. A visit to Ta Prom, the famous ‘Tomb Raider’ temple, continues our jungle theme and concludes our day’s visit. Morning trip to one of the more remote temple sites – the truly spectacular Beng Melea. A huge partially ruined temple complex, overgrown by jungle, lying to the west of Siem Reap, this is one of the most impressive Angkor monuments. 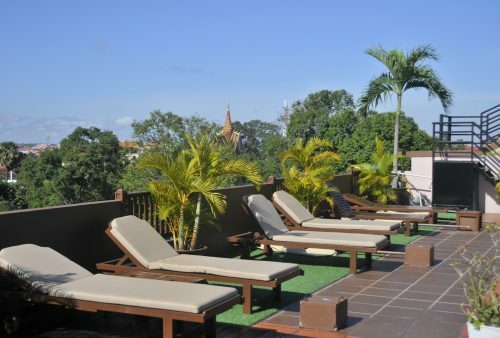 Return to Siem Reap with an afternoon at leisure to relax by the pool, perhaps visit the National Museum or check-out Apopo and their famous mine-clearing giant rats? 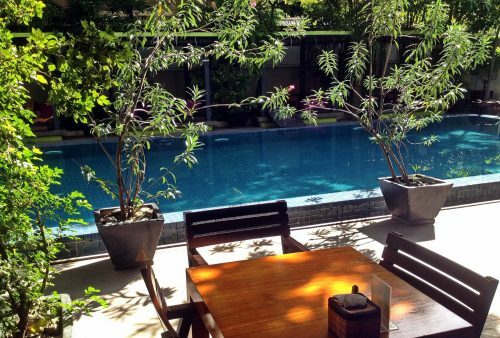 Morning at leisure in Siem Reap and departure at your convenience. 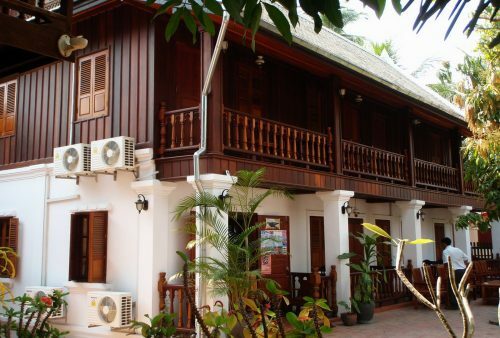 Extra nights in Siem Reap or Luang Prabang, before or after your tour are available on request. 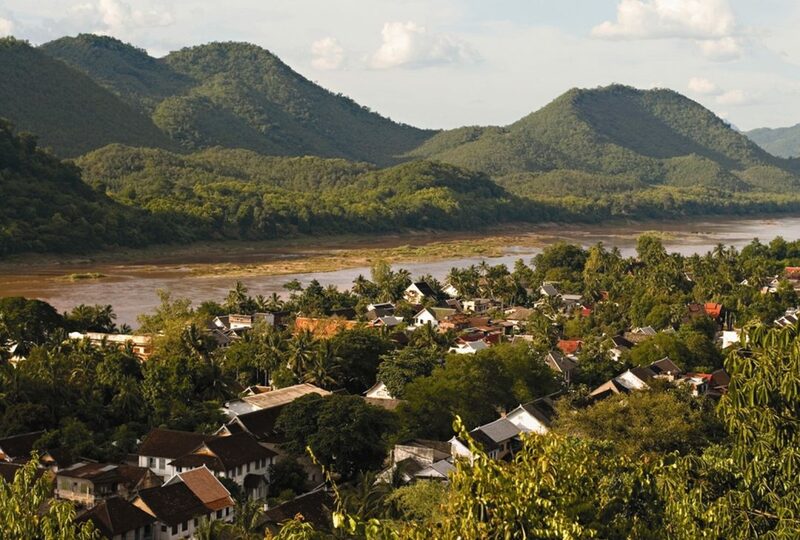 Explore the ancient temples, colonial architecture, narrow lanes and bustling markets of UNESCO World Heritage Luang Prabang.
" What a fabulous 3 weeks! We seemed to do a lot of hunting to find the trip that ticked the boxes and you guys were it! " 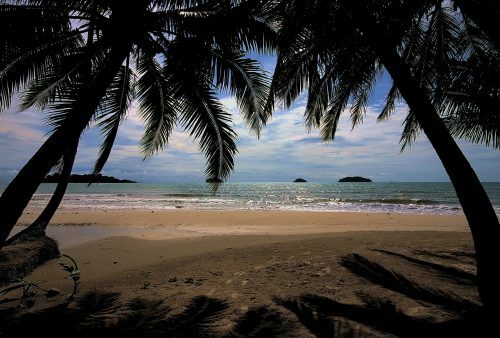 " Just writing to thank you for a wonderful trip to Laos and Cambodia. It was so well organised, Mark did a great job of looking after us in Cambodia and the guides you chose were all good – particularly Pong and Chet - were really fantastic and very warm people. Can’t praise them enough. Please pass on our thanks to everyone.
" 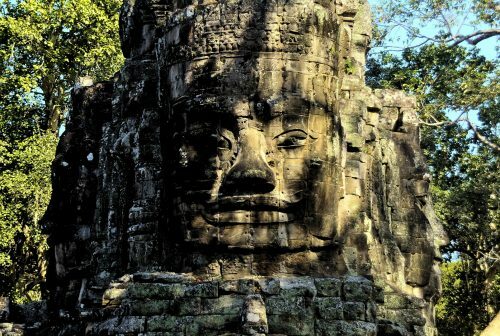 For me, this trip has not disappointed……..from our unforgettable days in Laos (what a rich tapestry of culture, history, food, local village communities) to our introduction to Cambodia. A great balance of history, food, local life, scenery – and some great stories along the way. Thank for organizing such a memorable trip. " 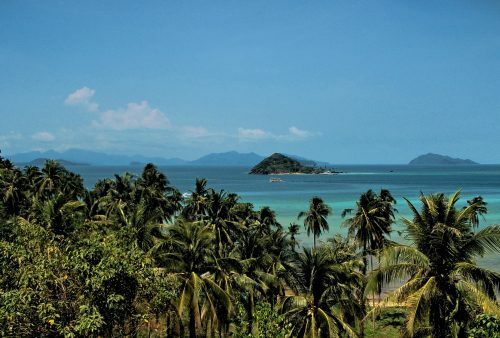 " We have recently finished the Indochina Tour and just wanted to say what a fabulous time we had during our 3 weeks. The tour was brilliant from start to finish. Each day was well structured with lots of variety in the places we visited. "